Xmsn Overlay coming soon to a backyard near you! It’s early, so now’s the time to get agitated, get activated! As if CapX 2020 wasn’t enough, and during the CapX 2020 Certificate of Need proceeding, word of the “JCSP” overlay came out. 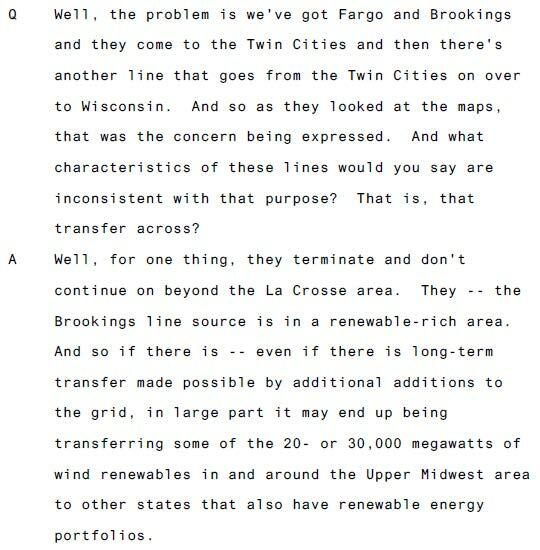 And we know that Xcel, in its e21 Initiative, is whining about the grid only being 55% utilized (DOH! Because CapX and other transmission expansion wasn’t needed, was built, and now they’re trying to make us pay for it!). 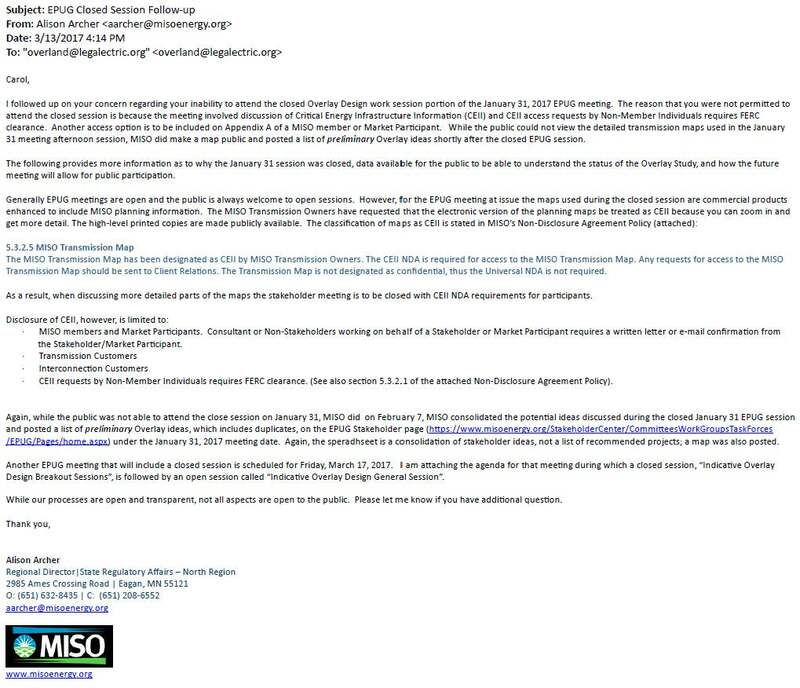 The Minnesota Public Utilities Commission has scheduled the MISO Utilities Quarterly Update Meeting for the Second Quarter of 2017 for Friday, March 3, 2017 from 10:00 AM to Noon in the Commission’s Large Hearing Room, 121 7th Place East, Suite 350, St. Paul, MN 55101. Laying the ground work now for this, a huge build-out that isn’t needed, an overlay on top of transmission that wasn’t needed either. NO! With all these highly volatile oil tankers whizzing by, we need secure rail communication networks. But what did we just learn? 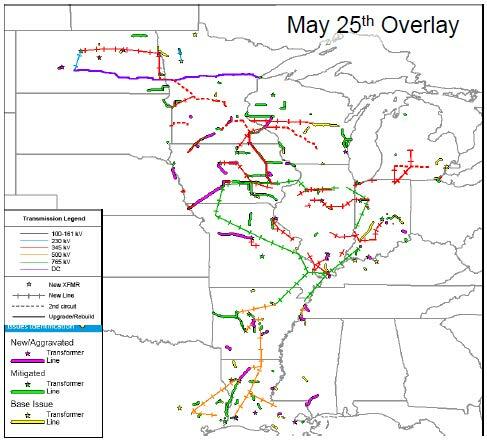 CapX 2020 transmission is affecting rail communication, along Hwy. 35 in Wisconsin, and that’s not OK. “…the combination of those lines with another nearby 69-kilovolt line likely triggered the interference.” Really? Combination? 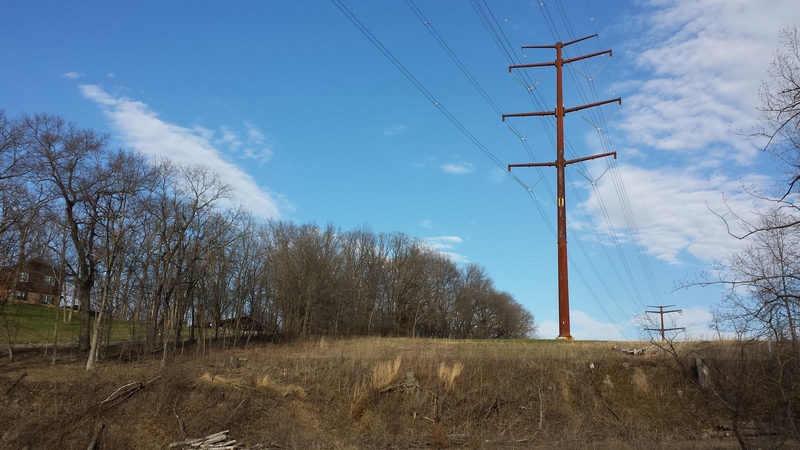 Not addition of a big honkin’ 345 kV line? CapX 2020 transmission owners are now fixing it, which involves what? And why was that info so long in coming, where BNSF has already spent over $1 million to fix CapX 2020’s interference problem? Shouldn’t that be on CapX owners? Owners of the recently completed CapX2020 transmission line are making modifications to a nine-mile stretch in Buffalo County where a combination of high-voltage power lines is interfering with signals on nearby railroad tracks. The problem is expected to generate several million dollars in additional expenses for the transmission line and BNSF Railway. 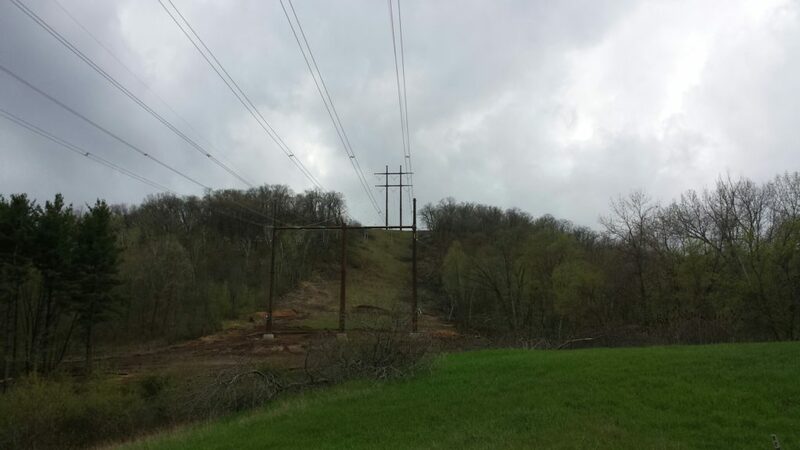 BNSF crews discovered the problem in May, shortly after the completion of a second transmission line that’s part of the $500 million project to link the Twin Cities, Rochester and La Crosse. 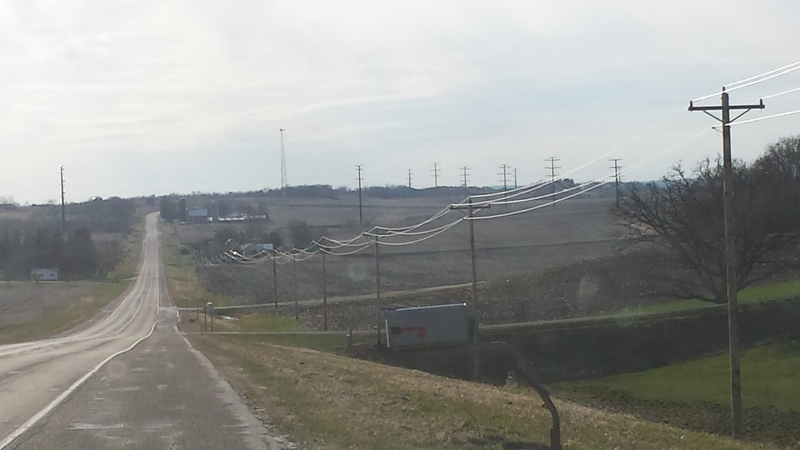 CapX reported it this week to Wisconsin utility regulators. 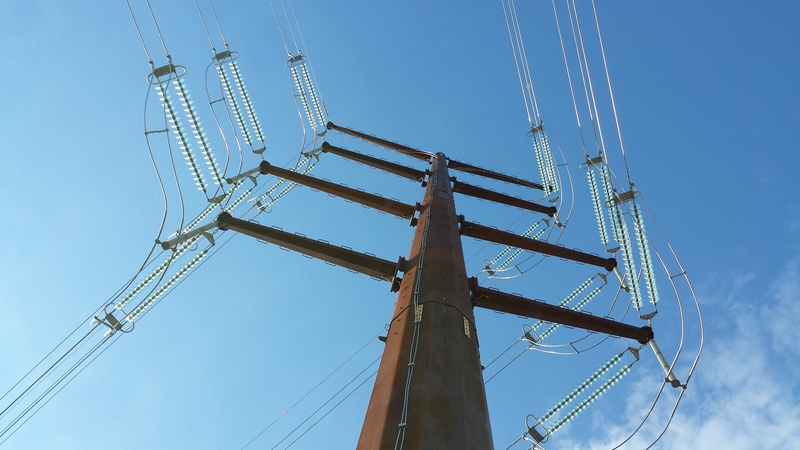 The 345-kilovolt line runs from Alma to Holmen, hugging the railroad corridor for about nine miles, where a 161-kilovolt Dairyland Power line shares the same towers. Stevenson said the combination of those lines with another nearby 69-kilovolt line likely triggered the interference. Railroad signals, which control crossing gates and train movements, operate on low-voltage current run through the steel rails. The systems are regulated by the Federal Railroad Administration and are set up to go into safe mode if a problem arises — for example, closing gates even if no train is approaching. BNSF spokeswoman Amy McBeth said the fail-safe design worked as intended. The railroad initially deployed flaggers in the field and installed insulated joints and another signal to mitigate the intermittent interference. McBeth said BNSF has spent about $1 million on those short-term solutions. 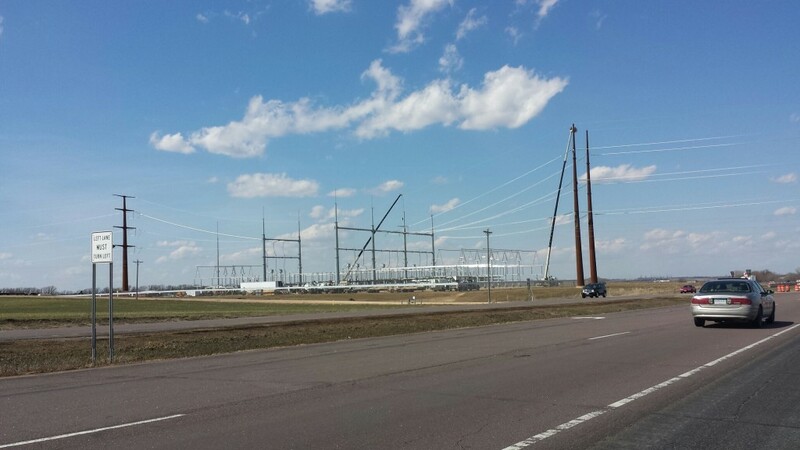 Xcel Energy, the lead partner of the 11 utilities that built the transmission line, is expected to begin work this month on a more permanent solution that is expected to cost roughly $2 million. 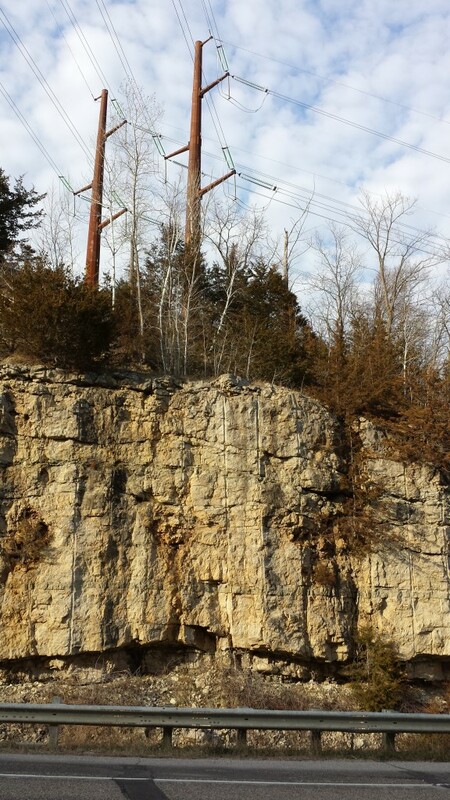 Over the winter, crews will install an aluminum wire below the conductor that is intended to reduce interference. 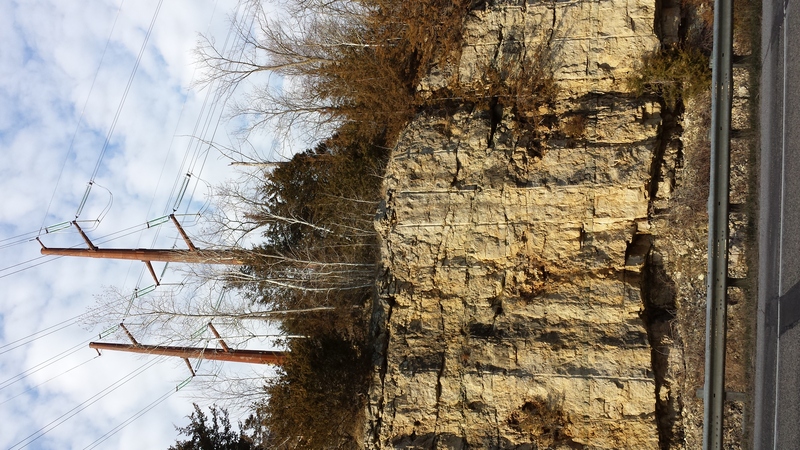 A second copper wire will be buried in the railroad right-of-way next spring. 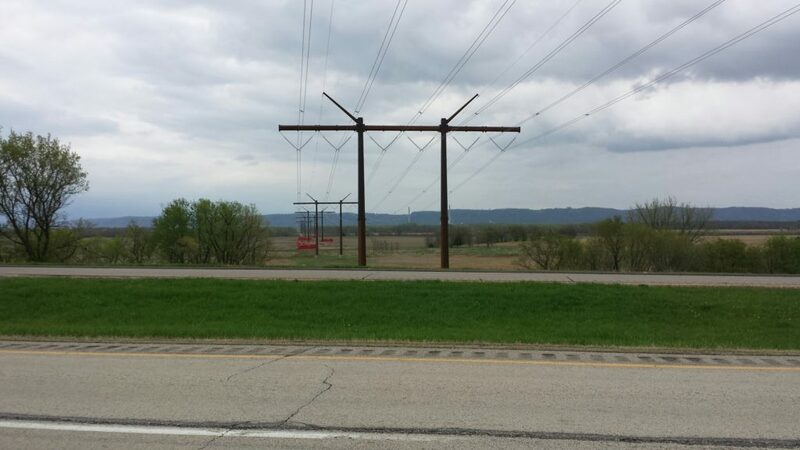 Stevenson said there are 27 landowners near Cochrane, Wis., who will be affected by the construction, though he said it will be on a much smaller scale than during construction of the 345-kilovolt line. 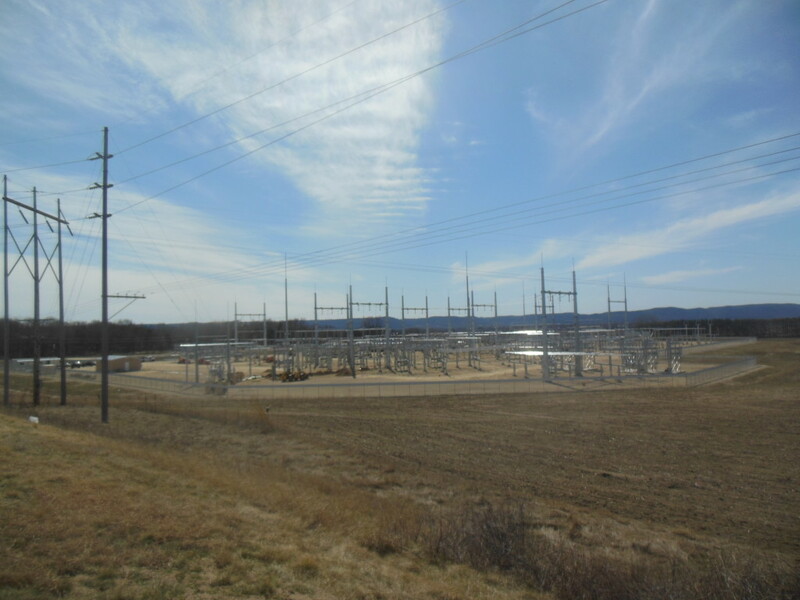 Even with the additional costs, Xcel says the 48.6-mile Wisconsin segment of the project is below the $183.3 million price tag approved by the Wisconsin Public Service Commission. 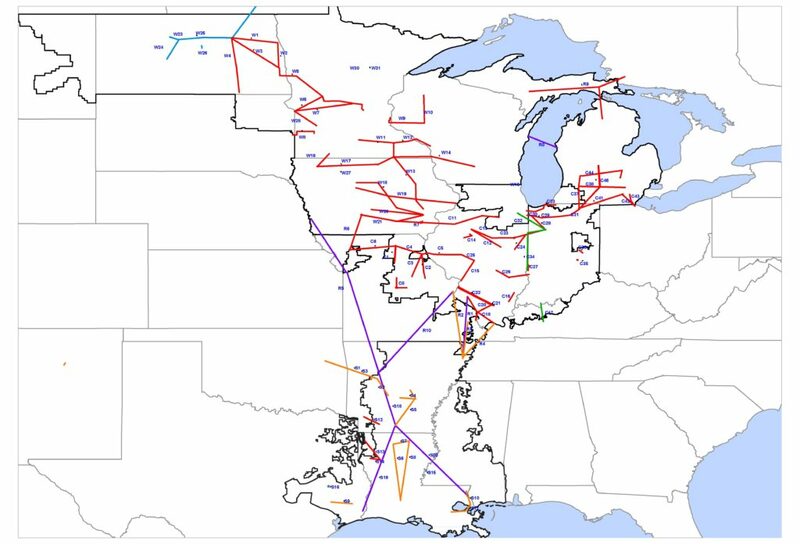 The costs are shared by electricity customers in 15 Midwestern states and one Canadian province. 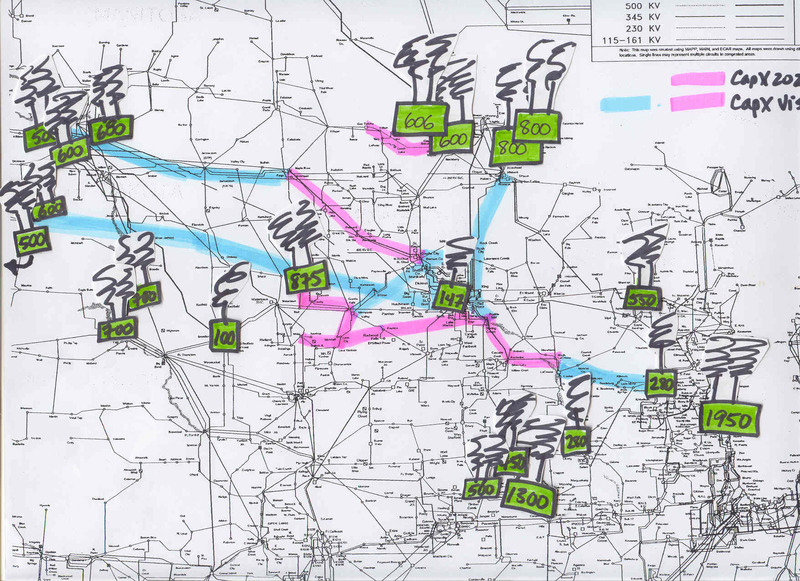 The entire 156-mile Hampton-Rochester-La Crosse project was energized in September. 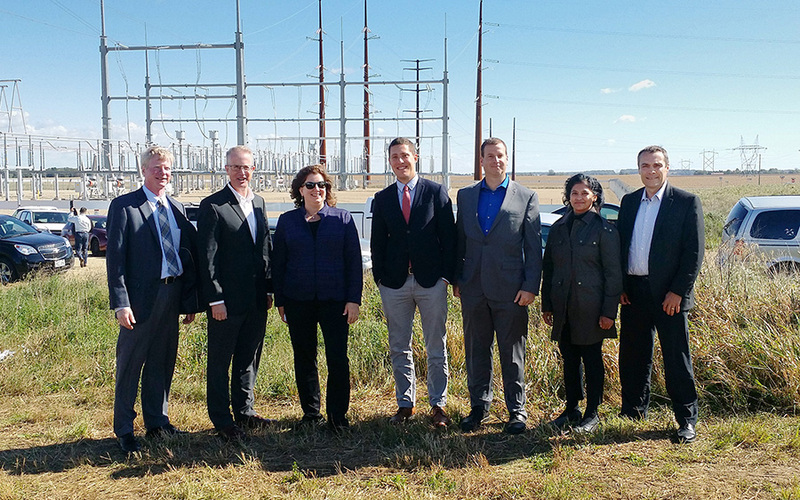 It was the fourth line in what is now a $1.85 billion project to connect wind-rich areas of western Minnesota and the Dakotas to population centers where that electricity is needed. CapX said wind energy developers have requests to add more than 1,200 megawatts of new capacity into the network. BNSF has already spent about $1 million on short-term fixes for the interference problems. A more permanent solution is expected to cost about $2 million. Monday, they had their CapX 2020 Love Fest at the Hampton substation, and I didn’t even get an engraved invitation. It’s a depressing point in time — 12 years on this project — and they got all they wanted, in some places not where they wanted it, but it’s up, and so many people affected. Having it routed somewhere, anywhere, is what they cared about, and supposedly it’s now “in-service,” though I wonder. 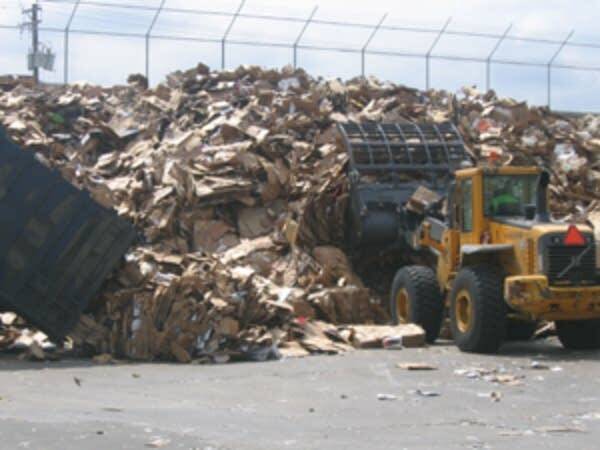 Is it time to have a big bonfire of all the boxes of files? How much was “Wind on the Wires” (f/k/a Izaak Walton League) (and many other orgs?) paid for their promotion of transmission? It’s up and running — get out those gauss meters and check it out. 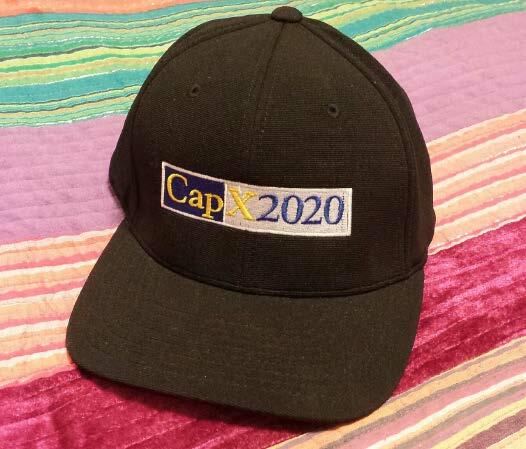 The CapX 2020 project has been a part of my life for over 12 years… and now it’s mostly up and running. So I’ve spent the day digging through the dusty files. What a mess. Boxes and boxes and boxes. That’s a map from 2007 or so with coal plants ID’d from the MISO queue, some up and running, many not (good!). The north/south line along the MN and ND/SD border is missing. 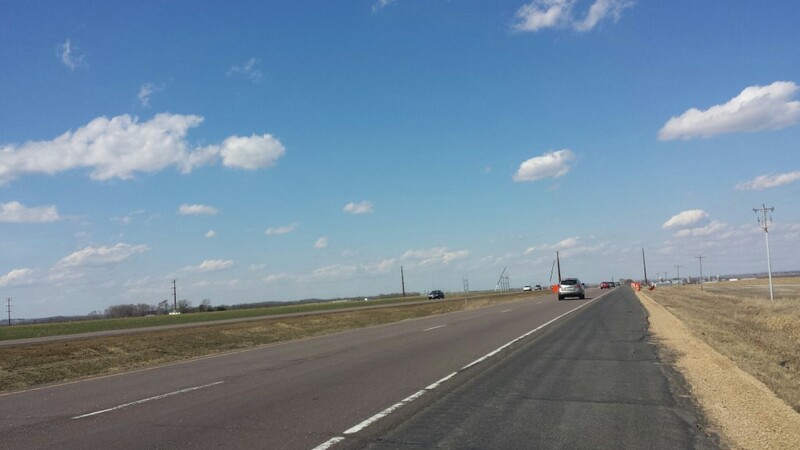 The North Dakota, South Dakota and Wisconsin legs are all permitted too, much constructed. Well played, Xcel. 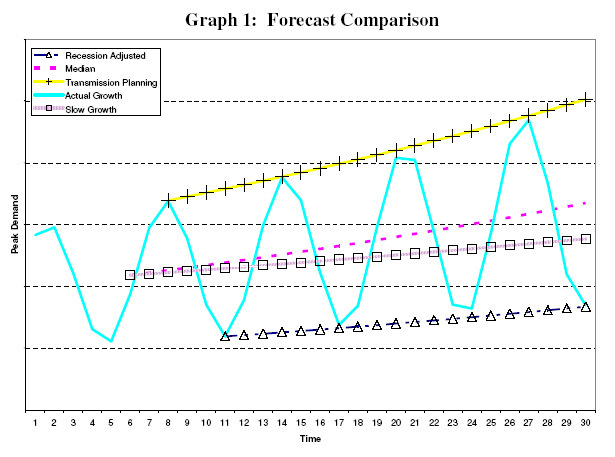 Meanwhile, Xcel Energy’s rate case based on its e21 Initiative whines that the grid is only 55% utilized! 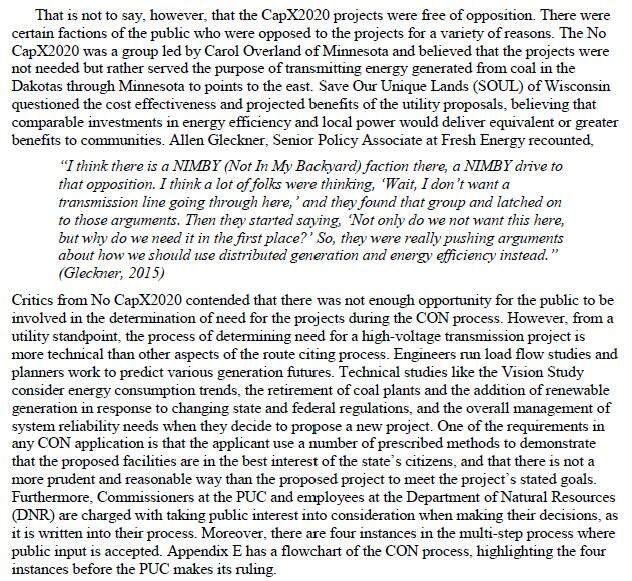 But CapX 2020’s Minnesota Brookings – Hampton transmission line is part of MISO’s MVP 17 project portfolio! DOH! 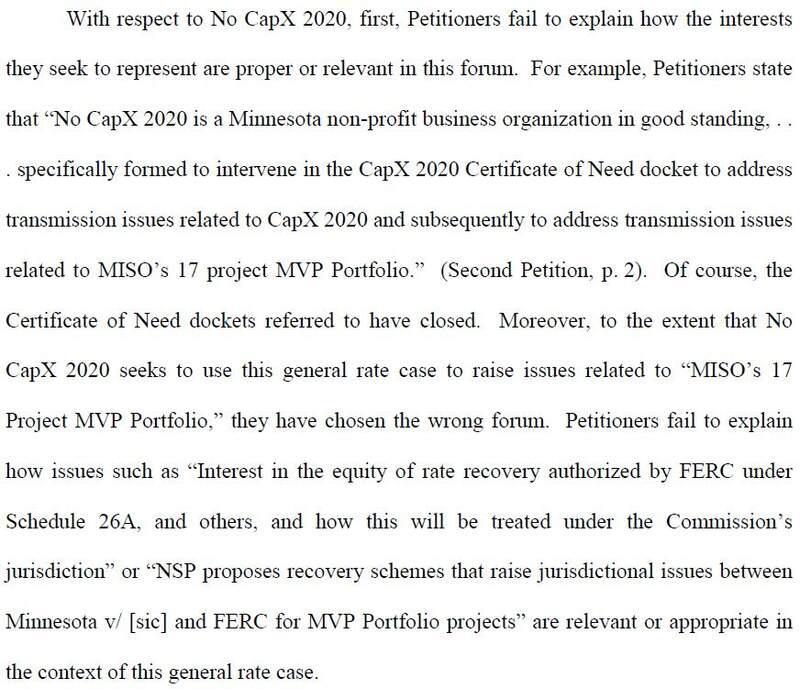 And the judge apparently missed that Xcel brought up both CapX 2020 cost recovery and MISO MVP cost recovery in their direct testimony! September 26 — Mark Your Calendars!! CapX 2020/Xcel Energy is holding a PR shindig, firing up the Hampton – La Crosse leg of its transmission build-out. Their scheme, their scam, is nothing to celebrate. But yes, there’s an event coming up… and it should be appropriately observed… where did I put that “No CapX 2020” banner? FYI, Tim Carlsgaard, another knowledgeable Xcel/CapX spokesman, says they hope to turn the juice on this month for the section from Hampton to Pine Island, along U.S. 52. Nice try, Tim. My identity is a more closely guarded secret than Colonel Sanders’ recipe. But if you’d like to send me a piece of cake, I can’t stop you. Have messages in to both Tim Carlsbad and Grant Stevenson, but the timing is top secret, no invitation is forthcoming, so I guess I’ll just have to crash. Tom Hillstrom quit, went to Met Council, and is now back with Xcel as contractor, is he in on this? Better check with “Hilly” too! Put on your waders — CapX 2020 Report! support the Dakotas’ ability to export electricity to neighboring states. … and opposition discounted because it’s so technical, what with load flow studies, energy consumption trends, how could we possibly understand. We couldn’t possibly understand… nevermind that the decreased demand we warned of, and which demonstrated lack of need, was the reality that we were entering in 2008. 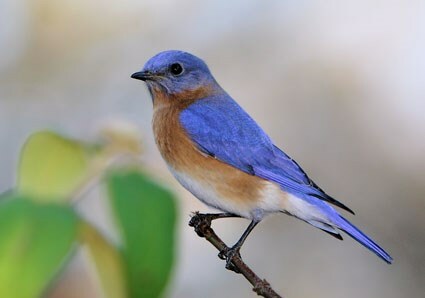 A little birdie just sent this graphic photo. 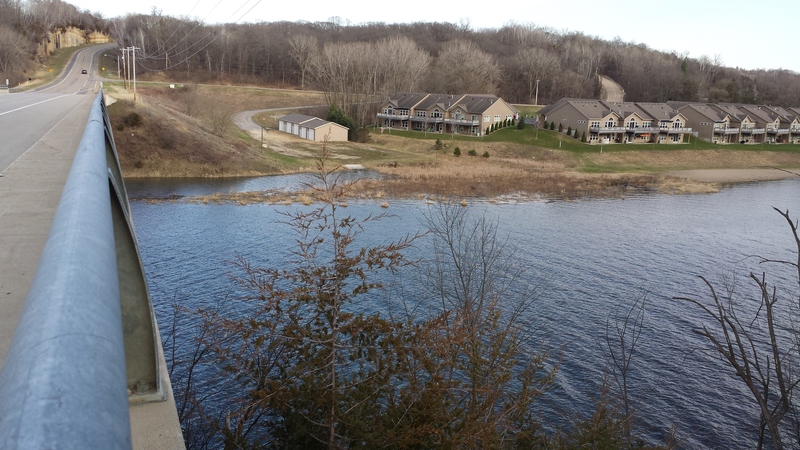 How’s this for a scenic view overlooking the Mississippi, at the Onalaska scenic overlook, no less?!?!?! Onalaska, what are you thinking? 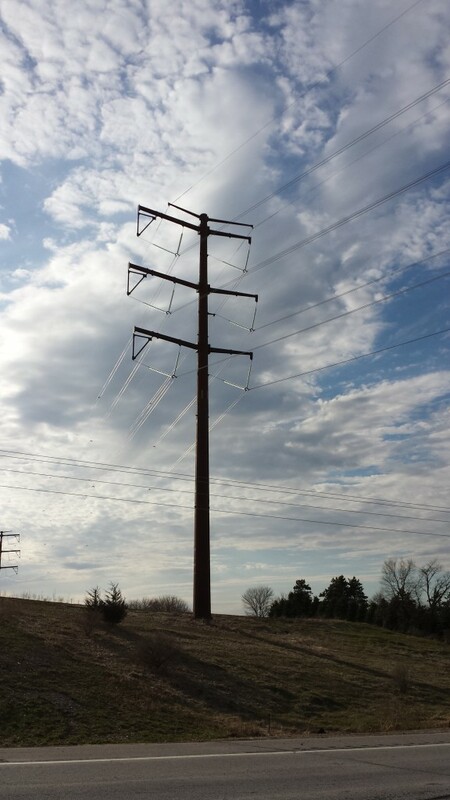 Did you consider the impact of this transmission line on the City’s observation area? Are you thinking of $$$$? Was there a payment to the City to allow this? Did the City review the plan? Did anyone go out and walk the line? Did the City know this was Xcel’s intent? Did the City’s Planning Commission understand this was in the works as it approved its Comprehensive Plan update that addressed transmission impacts and planning? La Crosse approved this move and issued a variance under their Airport Overlay Ordinance, and Xcel Energy told me after the meeting that there would not be clear cutting — but you know how Xcel Energy operates. Worse, Onalaska Mayor Joe Chilsen testified IN FAVOR of La Crosse granting the variance for this project! You might want to tell him what you think of Sunny’s new friend! It was such a beautiful day today. Got a good share of garden work in, pulled and raked out the back 40″, well, half of it anyway, and cut down all the big milkweed stalks. We grabbed a sub and went out for a picnic. 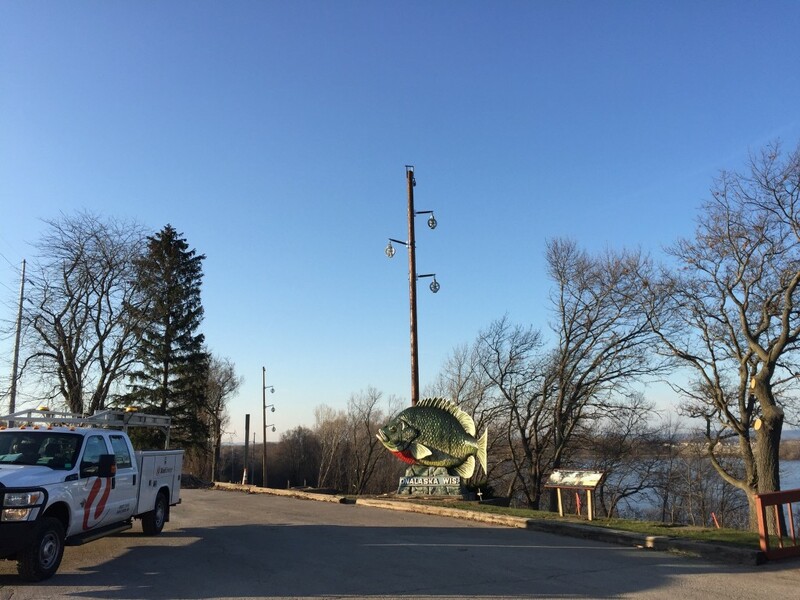 The river had crested last week or earlier, but it was still very “spring brown” though there were a lot of fishing boats out, and people fishing from shore too. Next stop, a look at CapX 2020 transmission now that it’s strung. It is so depressing. These are photos just south of us here in Red Wing, north of Rochester, by Oronoco, along the White Bridge Road. 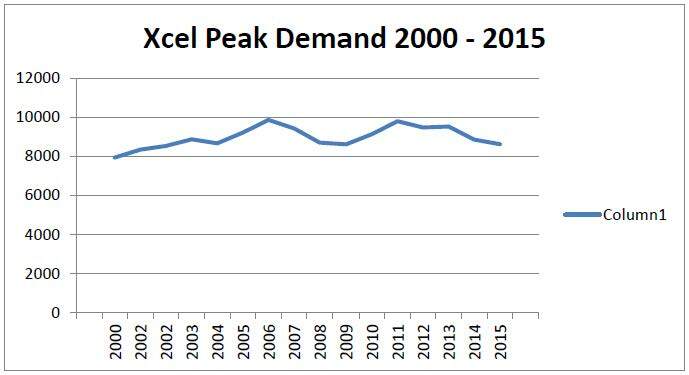 Remember Xcel’s CapX 2020 peak demand projections of 2.49% annual increase? How wrong can they be? And how unjustified was their basis for a Certificate of Need for CapX 2020? And how are they held accountable for those gross misrepresentations? But now it’s time to pay, and who will pay? This is why the rate case in progress, PUC Docket 15-826, is so important. Is it any wonder they want to get away from a cost based rate a la their “e21 Initiative” scheme? Particularly now that the bill for CapX 2020 is coming due and their newest rate case (PUC Docket GR-15-826) is now underway?